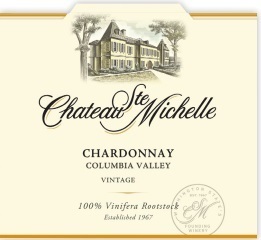 Compare to $7.57 at Total Wine and More in MissouriThis wine has a throwback label celebrating Chateau Ste Michelle's 50th anniversary. Upfront aromas of clarified butter, peach and spice are followed by medium-bodied stone fruit flavors. It's a varietal crowd-pleaser. Rated 88/100 The Wine EnthusiastSleek and light-bodied, with easygoing apple skin and citrus flavors that finish on a snappy note. Drink now.